I wrote the following several years ago, but never really used it: feel free to adapt it to your needs, or even turn it into a full-fledged package. # a circle arc, perpendicular to the unit circle, through two given points. # Which portion of the circle should we draw? 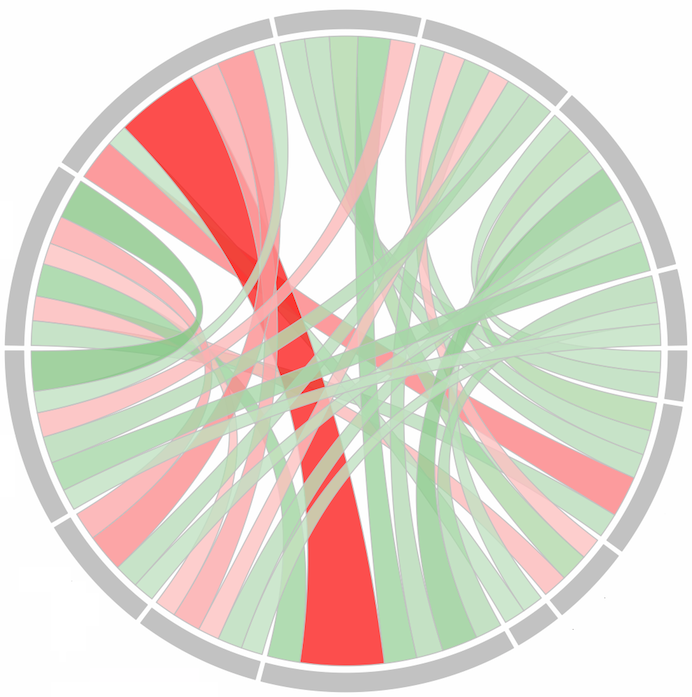 In case that you are not looking to particularly plot genomic data, but data from any domain, I think that the recently published package circlize: Circular Visualization in R provides a more straightforward approach than RCircos. 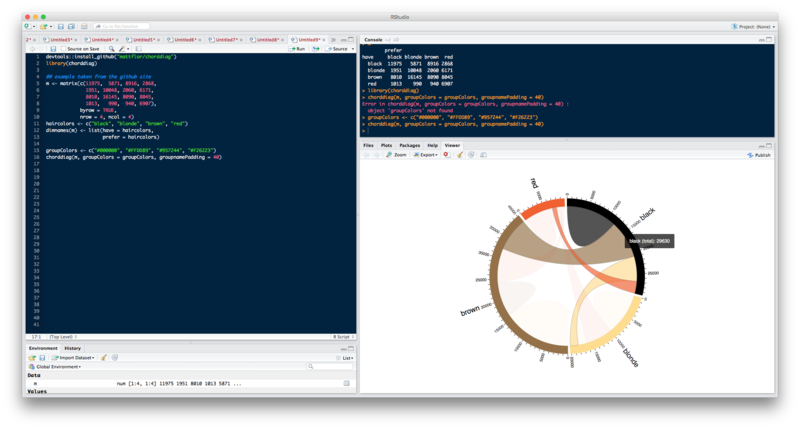 if you are familiar with ggplot, then ggbio is the way to go. 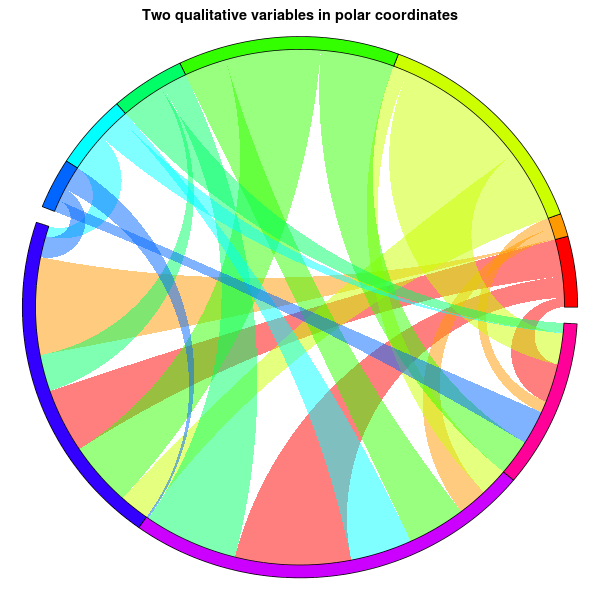 The function to plot circular plots is layout_circle(). Another very useful function to plot genomic data is layout_karyogram(). Not the answer you're looking for? 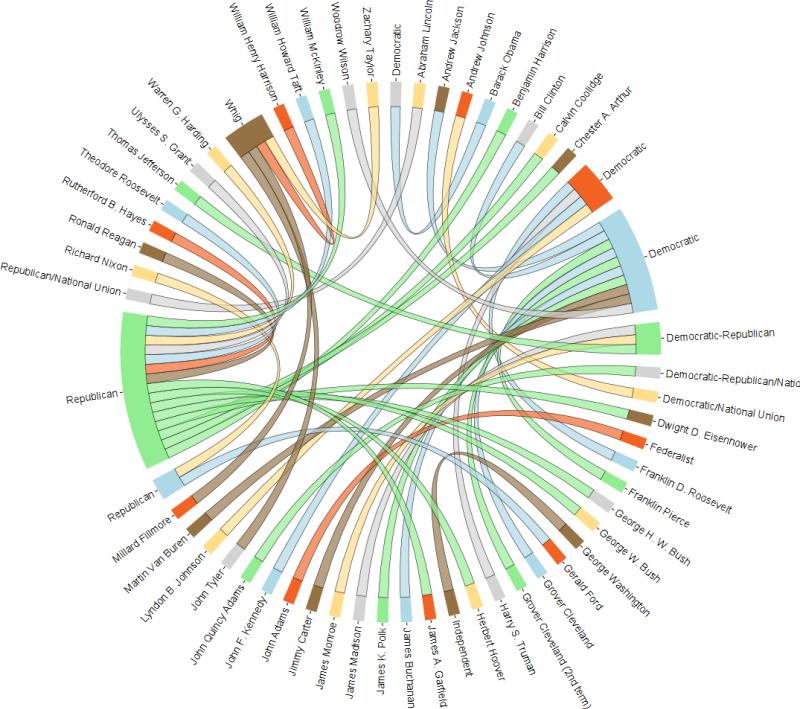 Browse other questions tagged r visualization chord-diagram or ask your own question.